This Beijing chain of Fine diners has rapidly spread through China and now boasts no fewer than four outposts in Shanghai on Taojiang road, Time Square, Super Brand mall and Shanghaicheng Hongquai. South Beauty's Sichuan favourites continue to draw customers night after night offering them a chance to sample some of the delicacies of one of china�s famous 4 styles of dining like spring rolls with beef noodle filling, mapo dofu and dan dan mei. The location itself is beautiful, with the public dining room placed like a glass box over trickling waterways inside private and peaceful gardens, by Japanese design House 'Hot Potato'. A small Balinese hut at the end of the garden path is a perfect hideaway for the romantically inclined. For those winter months, though, is the Private dining room and bar/lounge section of the compound set inside an old German style house. Tip-toe through each eclectically decorated lounge area, and peek into private rooms each designed in their own style. The feeling is very rock-star-buys-an-old-mansion with all manner of beds, low sofas, and leather, suede, and traditional Asian textures. 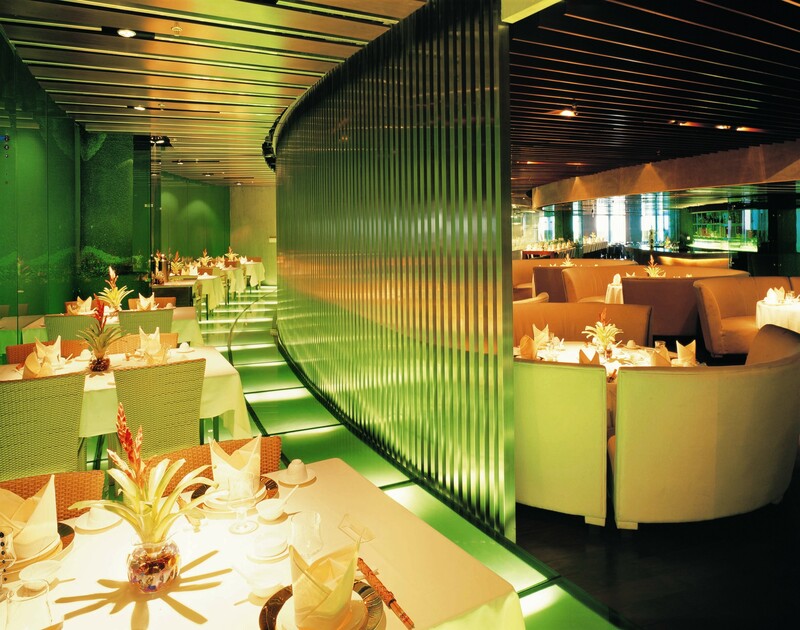 A classy Chinese eatery perfect for dining with friends, colleagues, clients or loved ones.